For more than 20 years, the magazine Vanity Fair has collected provocative and memorable details from the most famous people on the planet using their version of what is called the Proust Questionnaire. The famous French writer didn’t actually pen these questions—although he did answer the questions twice in his life—but they were used in 19th century Parisian salons to entertain the bourgeois. It was one of the first personality tests. There’s a reason they are still used to gather the most interesting and revealing facts, feelings and opinions from people. I think these 20 or so questions would be perfect to help you brainstorm a topic for your college application essay. 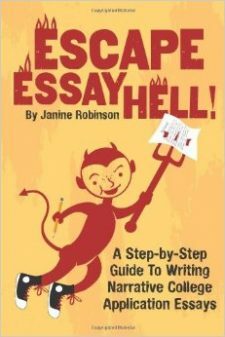 The main reason is that the best essays reveal something personal about you, and this list can help shake loose some of your unique qualities, interests and personality traits. If nothing else, it’s kind of fun. There’s even a Facebook app that lets you share your answers with friends. Here are David Bowie’s answers, and Amy Poehler’s, and Louis CK, and Tina Fey. Notice how the more honest they are, and the more details they share, the more entertaining and meaningful their answers. Shoot for that authenticity and specifics in your answers, and in your essay, as well, to power your stories and writing. And don’t try to impress with your answers. Stick to your honest responses, and you will capture your unique teenage voice—which is imperative to writing an effective college application essay. When it comes to sheer effrontery, there’s little doubt that comedians have been the most facile players. On occasion, there has even been some consensus. Eight contributors said they were smitten with Paris. Two said they identified with Jesus, two with Moses, and one with Robert Moses (Donald Trump). The person most frequently cited as most admired? Nelson Mandela (mentioned nine times). The virtue considered most overrated? Virginity—in a landslide. Over the years, we’ve noticed, virtually everyone has had at least one or two moments of pure, unbridled candor. Amid the tumult and the dread, amid these many attempts to tackle the overarching issues of love and death and the meaning of life, there have been flashes of Proustian poetry. The link to the questionnaire from Vanity Fair is no longer valid. Guess they took it down.